This has spoken to me big time ! I laid down one rule for my 36 year old son he carried it through last weekend unfortunately not last night ! Sent him text not very nice very domineering angry texts it hasn’t got me anywhere only that he sees me in a different light a bad light , I’m utterly worn out with his lack of respect for me he very selfish especially at weekends when he rolls in intoxicated leaving doors n lights on and open music on , he has changed over years as it was 100 time worse , we live in small block off flats so shutting doors is important which I e drummed in and bounces off him .My friends in Jesus say it’s paramount he continue living with me when all I want is to live on my own , we rub each other the wrong way . It’s going to have to be God’s way not mine from now on . Alison, hang in there. Keep trying to listen for God’s direction. It’s what I’m trying so hard to do myself… to trust. To hang on. But, rest assured, you are not alone… Thank you! 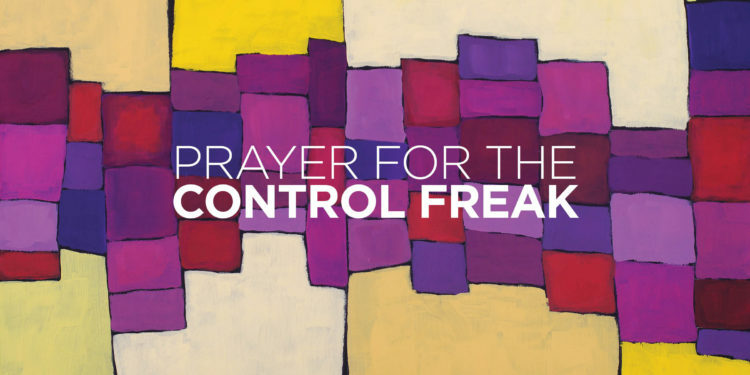 I didn’t know that I am a control-freak until I say this prayer. I thank the Almighty God for you. I really want to know what God’s purpose for me. God bless. Thank you so much for this prayer! Have been struggling with this for quite sometime. I pray for discretion, discernment, and ask Him to help me shut my mouth when I need to. Your prayer completely fit the bill! I just found your blog and will be staying tuned in.